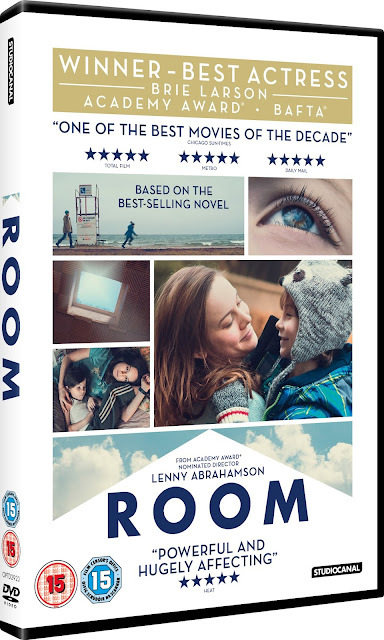 There has been no greater, more profound or powerfully moving film released in cinemas in 2016 than Lenny Abrahamson's Room. Earlier this year, in my review, I wrote: "Room is not a film which is simply watched. This is a movie that is absorbed..."
The multiple award-winning feature, detailing the escape of a young mother and her daughter from captivity in an enclosed "room", is one of the truly great and most original motion pictures of recent years - one which immerses us into a world of euphoric discovery. If you have not seen the movie as of yet, I give the highest recommendation possible that you should order a copy when it becomes available on DVD & Blu-Ray on 9th May via Studio Canal. I'm not alone in offering my utmost praise either - very rarely do movies receive the critical praise which Room has. 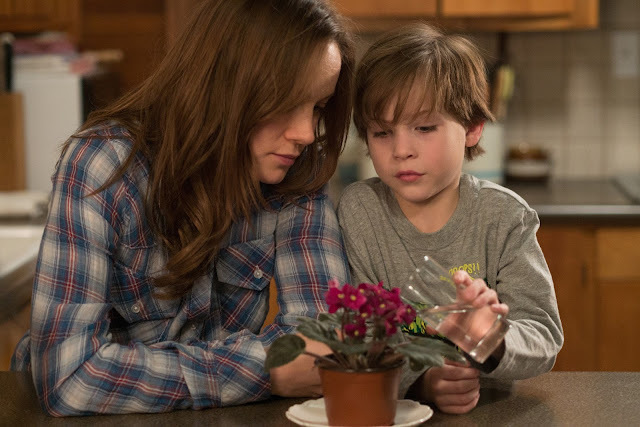 Aside from the plethora of five-star reviews it received, Brie Larson triumphed at the Academy Award for her highly emotional performance here. If, however, you've already seen the feature, I'm quite confident you'll take no persuading to purchase a copy so as to relive the incredible sensations found across the running time. That the release comes with a director's commentary and a "making of" feature add to the appeal. I'm delighted to say that, for those of you looking to get your hands on the movie, I am able to offer two of my loyalest readers a copy for themselves to own. How to enter? Keep reading! To enter the competition to win one of two copies of Room on DVD, simply log-in to the Rafflecopter form below with your name and email address - we promise not to share, or pass on, this data to any third parties but will use this information to contact you if your entry is successful. The first way to do this is to follow my (relatively new) Twitter account at @KCBFD. You can do this through straight through the Rafflecopter form. Alternatively, or as an addition, please leave the name of your favourite book-to-film adaptation in the omments. Whether it is The Princess Bride, Fight Club, Adaptation, or any other you can think of, I'd love to hear your answer.. The winners are selected at random through Rafflecopter and will be chosen on May 9th 2016 and contacted shortly thereafter. Definitely 'The Remains of the Day' by Kazuo Ishiguro..both book and film were outstanding! Has to be The Silence Of The Lambs for me! Even though the film is very different to the book, I love both versions of 'Under The Skin'. The Notebook - beautifully filmed with good casting and loyal to the book. Might be a bit controversial this one, but I (just my opinion, not trying to persuade anyone else) feel that Peter Jackson did a great job with adapting the Lord of the Rings Trilogy to the screen, An almost impossible job but a valiant effort, that means I can still read the books and films and enjoy them for what they are. Gone girl - amazing book, amazing film. The Godfather or The Remains of the Day. The last one I watched and loved was the woman in black, the book scared me too much to watch the film for a while! To Kill A Mockingbird - an absolute classic. I think it has to be The Green Mile! The Lord of the Rings, Peter Jackson did a good job with the adaptation. Has to be the notebook, doesn't matter how many time's I've watched it, it gets me everytime. The Remains of the Day by Kazuo Ishiguro. Both book and film were beautiful. Lord of the Rings :) I saw the films first, but I read the books later. I love both! Has to be Harry Potter, although not perfect the films captured the essence of the books. It has to be Star Wars! I watched Kill Your Friends the other day and it was brilliant and very close to the book. Dune. Despite the fact the film is a mess and no one else seems to like it. The Jungle Book, my children loved it and now the grandchildren do too. This is such a tough one because the film never lives up to the book for me. Has to be Follow The Rabbit Proof Fence (book), Rabbit Proof Fence (film). The original Jaws film is my favourite. Any of the Harry Potter films - I can't pick one! Favourite book to film is The Book Thief. My favourite book to film adaptation is harry potter. American Psycho. I couldn't see how it could be filmed, but they did a decent job of it. The Notebook is probably my favourite as usually the film doesn't live up to the book. Titanic as we have made the trip mamy times. 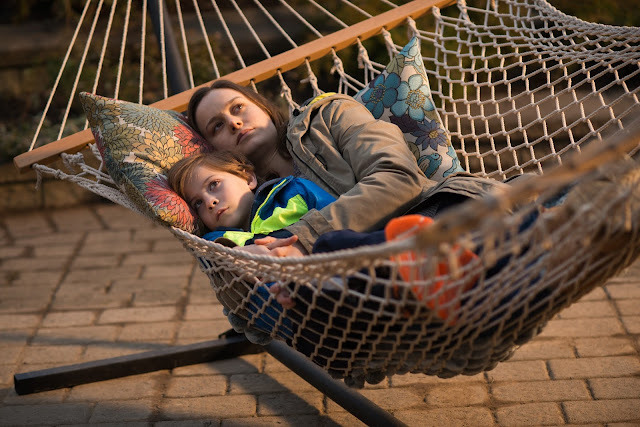 It has to be this film,Room. It was an emotional rollercoaster from start to finish and is now my favourite film ever. It really touched me and stayed with me and I would be over the moon to win the DVD. The hunger Games Series was a close second too... "If we burn, you burn with us!"